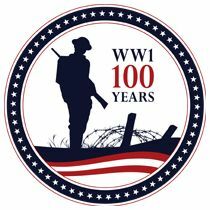 The first state-wide Texas World War I Centennial planning conference was held on August 12 at the Bullock Texas History Museum in Austin. The conference was designed to help organizations and individuals plan commemoration activities for the 2017-2019 centennial period. Conference documents (presentations/handouts/participant roster) are posted on our shared drive (Google Drives) at drive.texasworldwar1centennial.org. The folder is marked Coordination & Planning>August Conference). Organizations represented included museums, county historical commissions, universities, libraries, military bases, and state agencies. Lunchtime keynote speakers included Commissioner Tom Hatfield off the Texas Historical Commission and Daniel Dayton, Executive Director of the U.S. World War I Centennial Commission. The planning, presentations, and logistics were the result of the effort of volunteers from the TX WWICC. Members of the Texas Historical Commission staff were also critical to the success of the day. If we wished to donate WWI documents and personal items, who should we contact? – Do the items pertain to a specific individual? Was the individual a Texan? Were they associated with a Texas-specific military organization (e.g., the 36th Division or 90th Division)? – If a military figure, what was their military service branch (Navy, Army, Marines) rank, military specialty (aviation, tanks, infantry, etc.)? – Do you have any history/details of where and when they joined the service, were they served, when discharged, etc.? – Was the individual associated with a Texas college or university, a specific town or county, or did they have a notable career after the war? – Do the documents pertain to a specific event or action (military operations plans or reports), personal (letters, diary) or are they administrative in nature (pay records, discharge papers, etc.)? Are photos included, and if so are there any annotations as to location or names of individuals in the photos? – Where are you located (this my help in directing you to a organization that is nearest to you)? A nationally recognized author friend is releasing his 2nd book about WWI this April. He would be willing to attend a speaking event or book reading in Texas, if there is a sponsoring organization. Any suggestions on what group or organization might be willing to host him for a reading or speaking event? His first book was The Last of the Doughboys, featuring firsthand interviews with the last remaining WWI veterans. Great stuff. I am writing a historical narrative about a State Representative from Live Oak County who served as an officer with the 90th in the Saint-Mihiel Offensive. He (2nd Lt. JF Gray) as wounded, gassed and promoted to 1st Lieutenant. He sought leave of the field hospital in time to serve in the Meuse-Argonne Offensive where he volunteered to command Company A under fire who had lost all their officers. One of the soldiers wrote a poem, “Our Hope”, about Gray and Gray received a Divisional Citation for efficient and courageous conduct in the performance of duties. Please contact me at (817) 896-3718 to discuss how as retired educators and historians, my wife and I can conduct the 2018 unveiling of his historical marker in conjunction with all the WW1 commemorative activities you are planning in 2018.